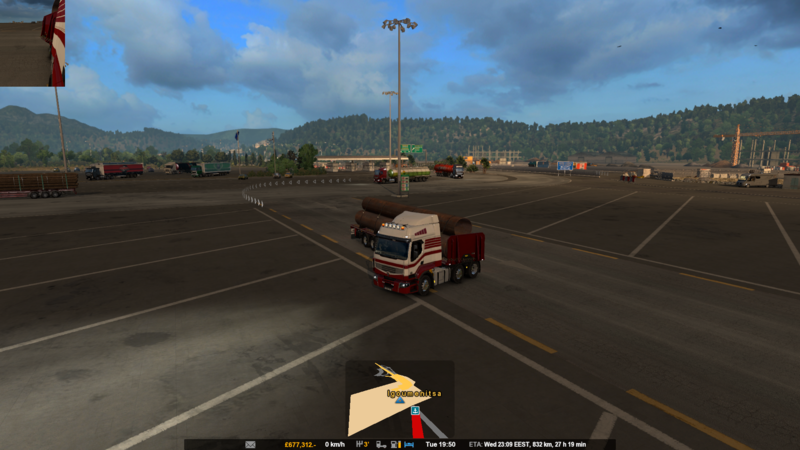 There are invisible walls between the parking area & road in the port of Igoumenitsa, Western Greece. 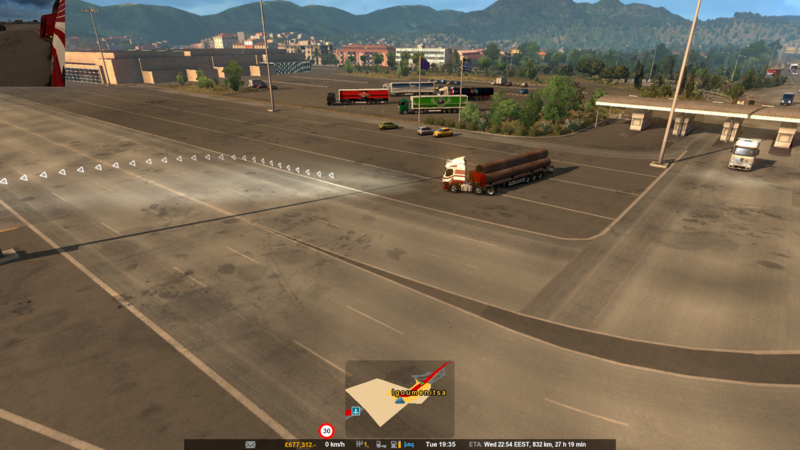 The invisible walls appear to run along the road between the entry to the port & the ship, some of them are marked by SCS arrow barriers, some of them aren't. Truck is resting against invisible barrier in both images.